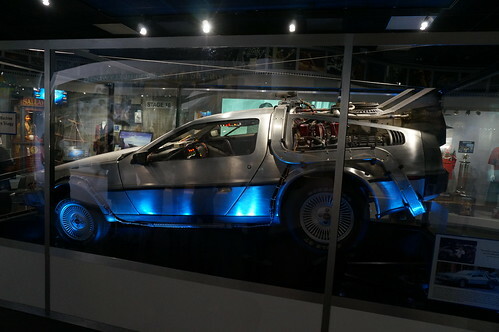 About the car from 2013 article on Auto Blog website: Fans of the Back to the Future trilogy will be pleased to learn that Dr. Emmett "Doc" Brown's modified 1981 DeLorean DMC-12, better known as a time machine, is on display at Universal Studios Hollywood in California after a painstaking museum-quality restoration over the past year. 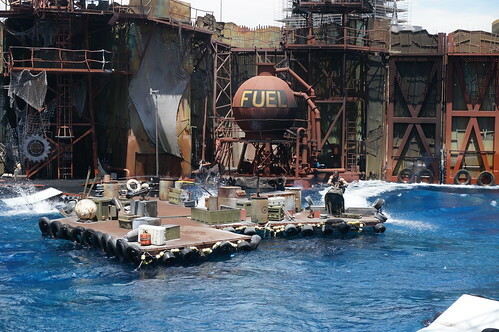 While Universal used a handful of cars during filming from 1985 to 1990, this particular vehicle is referred to as the "Hero A" car, as it was the only Delorean featured in all three films. 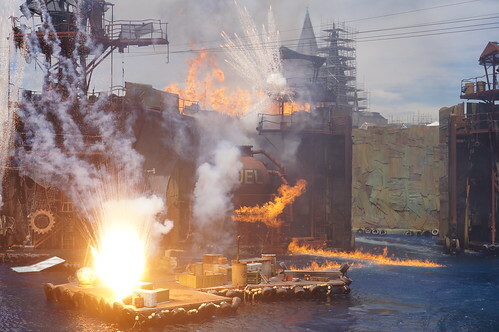 The Time Machine Restoration Team was tasked with bringing the car back to its original state during its first appearance in Back to the Future, complete with its plutonium-powered flux capacitor (later versions were modified to develop power for time travel from lightning and garbage). 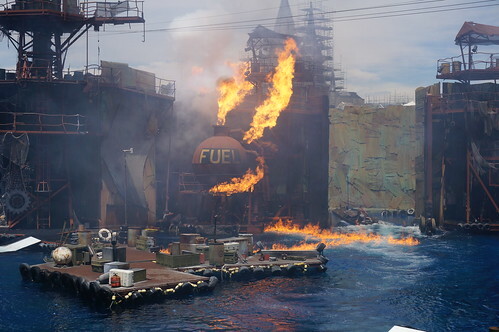 From what we can tell, the team's work appears flawless. 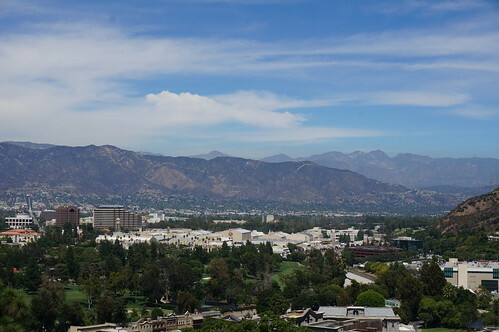 Warner Brothers Studios as see from the upper lot of Universal Studios Hollywood. 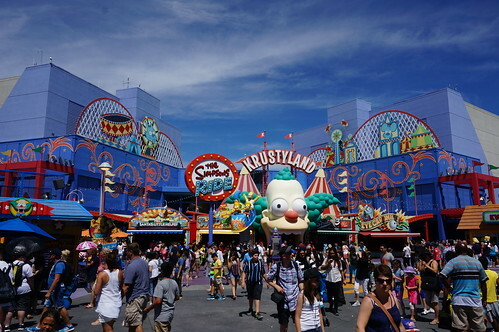 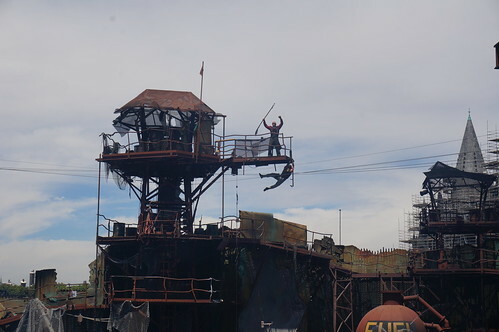 Krustyland, a.k.a. 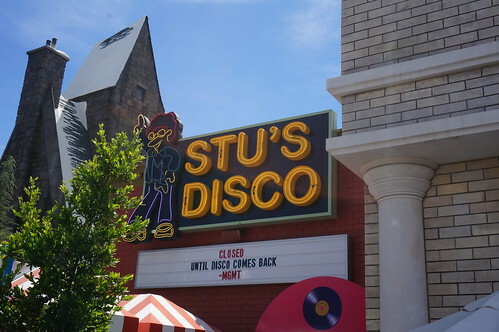 The Simpsons Ride at Universal Studios Hollywood. 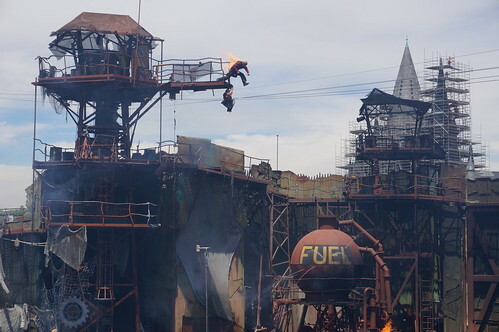 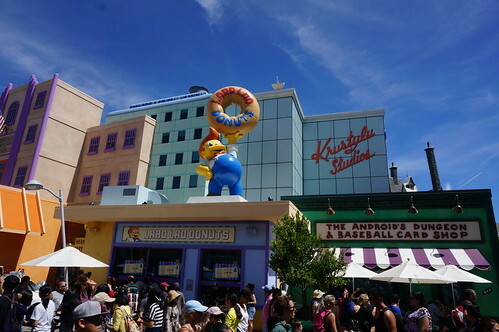 Krustylu Studios, Lard Lad Donuts and the Android's Dungeon in Springfield U.S.A. at Universal Studios Hollywood. 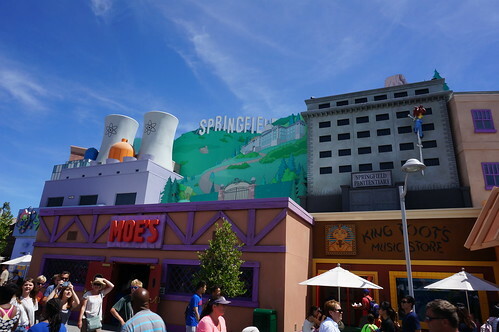 Moe's, King Toots and the Springfield Penitentiary at Universal Studios Hollywood. 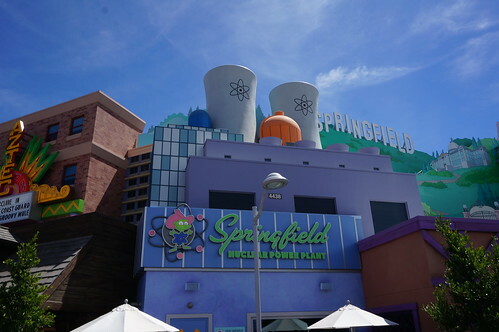 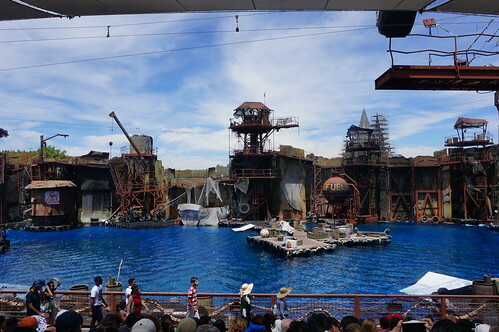 The Springfield Nuclear Power Plant at Universal Studios Hollywood. 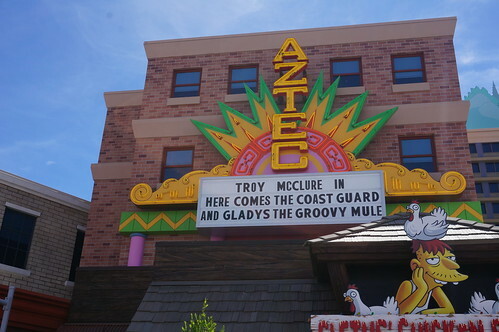 The Aztec Theater in Springfield U.S.A. at Universal Studios Hollywood. 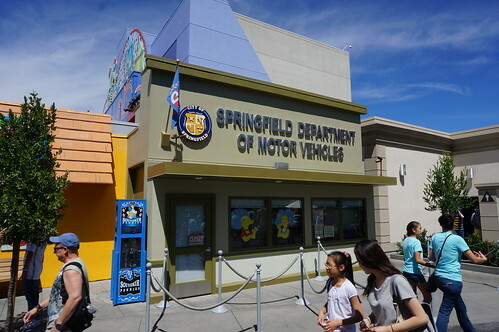 Springfield Department of Motor Vehicles in Springfield U.S.A. at Universal Studios Hollywood. 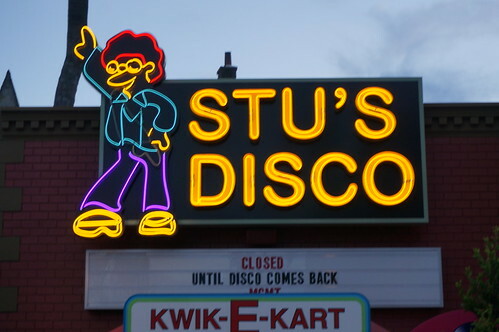 Stu's Disco sign in Springfield U.S.A. at Universal Studios Hollywood. 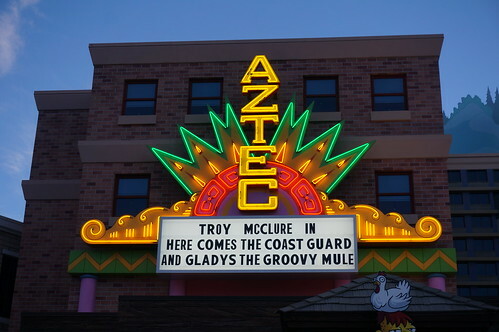 The Aztec Theater in Springfield U.S.A at Hollywood Studios U.S.A. 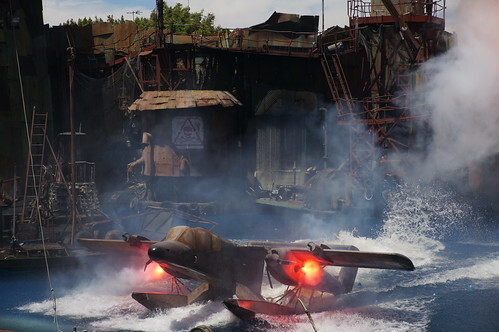 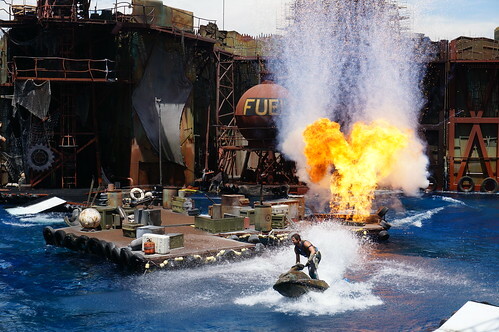 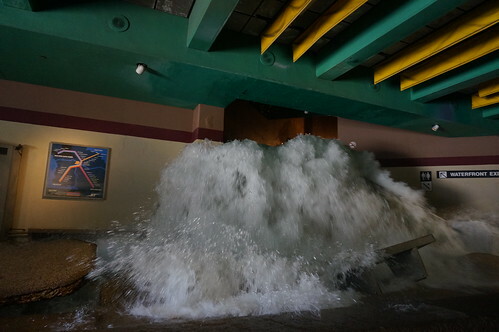 Flood waters rush into the Earthquake section of the Studio Tour at Universal Studios Hollywood.